On the Third Sunday in Advent, churches throughout Christendom will light a pink candle on the Advent Wreath. We don't do this for aesthetics -- we're not trying to prep out by getting our Talbots on. Nor is it because the males among us need to demonstrate just how secure we are in our masculinity. No, that third candle is pink (or technically rose-colored) because it's Gaudete Sunday. Huh? Okay, let me back up and do some explaining here. First of all, we refer to the Third Sunday in Advent as Gaudete Sunday because the introit for the mass begins "Gaudete in Domino semper: iterum dico, gaudete" meaning "Rejoice in the Lord always: again I say rejoice." While much of the penitential nature of the season has been lost in favor of hopeful expectation, some of the readings still do sound this note. The Third Sunday has traditionally been a respite from the penitential themes of Advent emphasizing instead the joy of the coming of the Lord. Thus many view the pink candle as emphasizing joy. As with most things liturgical, however, there is not consensus here. Some associate the candle with Mary and perhaps there's confusion because "Mothering Sunday" -- the Fourth Sunday in Lent -- is the other occasion for rose-colored vestments. This is a slight misnomer, however, because Mothering Sunday refers not to Our Lady but to an old practice in England where the rich gave their servants the Sunday off to go home and visit their mothers. Indeed, Mary appears in the readings for the Fourth Sunday in Advent, not the third. To go even further back, it's worth looking at the history of Advent wreaths themselves. There is evidence that some pre-Christian Germanic people placed candles on wreaths in the middle of winter as a symbol of hope that the warm weather of spring would return. And ancient Scandinavians placed candles on wheels in "the bleak mid-winter" as an anticipatory devotion to the sun god. It wasn't until the Middle Ages that Christians adopted the practice of the Advent wreath as a pre-Christmas devotion. As I mentioned, some churches use rose-colored vestments twice a year -- on the Fourth Sunday in Lent and the Third Sunday in Advent. 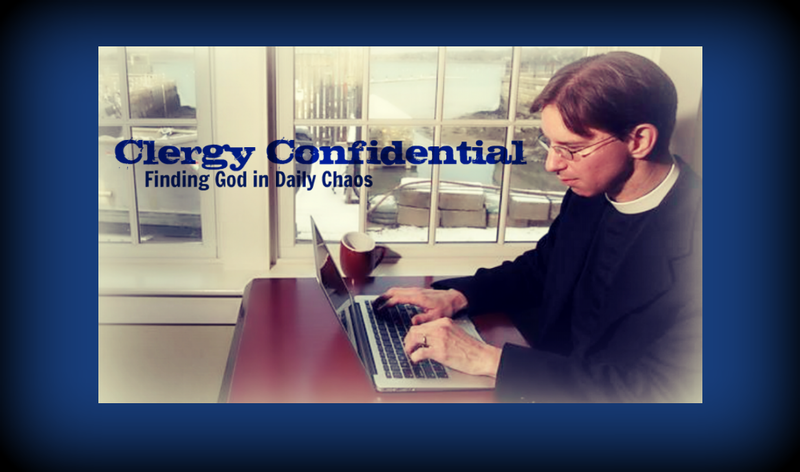 Both days are seen as times of refreshment, feasting, and joy amid a penitential season. I know a priest who, back when he was a curate, always celebrated the Eucharist on these two days. It seems the parish owned a rose set and the rector declared he never, ever wanted to wear pink at the altar! So there you have it -- a brief explanation about the pink candle that will be lit this Sunday. May this season bring you the joy of Christ as we continue in hopeful anticipation. Thank you for this information; it was very interesting. The pink Candle matches the pink vestments so it is an explanation of the candle. Methodists and less Catholic Anglicans use red candles in the wreath with no link to liturgical colours. 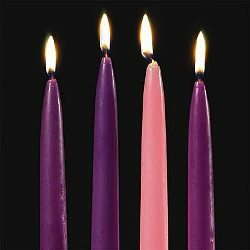 I am a United Methodist and every Methodist church I have been to uses a pink (not red) candle for the 3rd Sunday in Advent. Although it given less prominence than in some other denominations, Methodists do celebrate the liturgical year and use the liturgical colors in our churches. 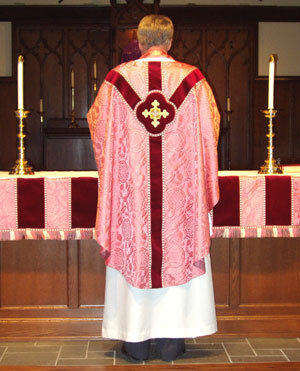 Aw, man, I want pink vestments!!! With Glitter! I tackled this one in my 2010 sermon. Thanks Tim for another version. United Methodists use purple or blue candles in keeping with the liturgical colors for the season. Most do not use rose candles but four candles of the same color because the origins of the Rose Sunday are actually quite sexist. Though as with most traditions, we've cleaned up the explanation. If anyone can rock a pink (er, rose) stole it's you, Lane.